vintage, japanese, retro, seventies, girl, girly, yumiko igarashi, candy candy anime, animation, cartoon, kawaii, cute, stickers, sticker, nakayoshi, manga, comic. Here is a rare vintage Nakayoshi Comics Candy Candy mini sticker book. The sticker book was part of a furoku pack for September 1977. The book is made of 4 mini sticker sheets. The stickers are made of paper. The sticker sheets are in unused condition. However, there is slight wear. Due to age and handling, there are some scratch marks and slight creases. Overall the item is in excellent condition. Keywords: vintage, japanese, retro, seventies, girl, girly, yumiko igarashi, candy candy anime, animation, cartoon, kawaii, cute, stickers, sticker, nakayoshi, manga, comic. 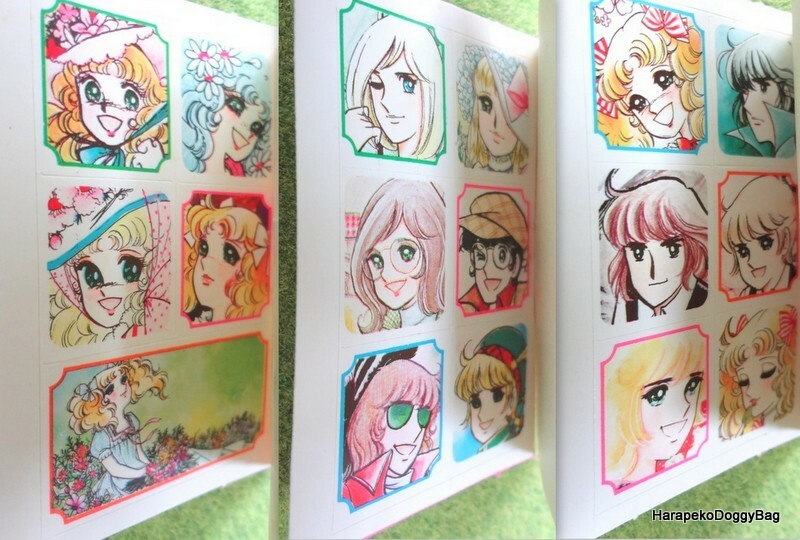 Below is a sample photo of the sticker sheets inside the mini book.